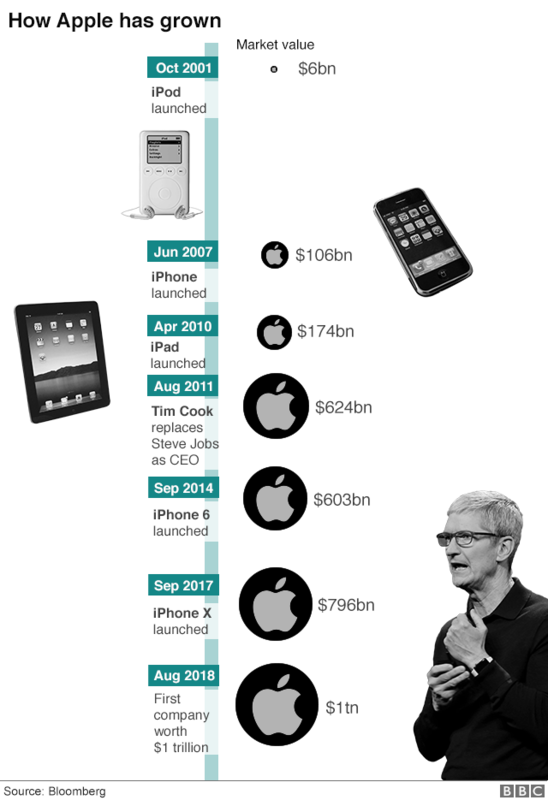 Apple has become the world’s first public company to be worth $1 trillion (£767bn). The iPhone maker’s market value reached the figure in New York on Thursday and its shares closed at a new record high of $207.39. Apple beat Silicon Valley rivals such as Amazon and Microsoft to become the first to hit the $1 trillion valuation. The rise is even more astonishing – 50,000% – since the company first listed in 1980. That dwarfs the 2,000% increase for the S&P 500 index over the same period. Apple traces its origins to the garage of co-founder Steve Jobs in 1976 and was initially best known for its Mac personal computers before its smartphone paved the way for the app economy. Over the last several years, our way of communicating has changed which has to huge increase in Data Usage and seen the British phone user, calling time on landline calls dropped by 50%. Cupertino, California — Apple today announced iPhone Xs and iPhone Xs Max, the most advanced iPhones ever, taking the vision for the future of the smartphone to a new level. 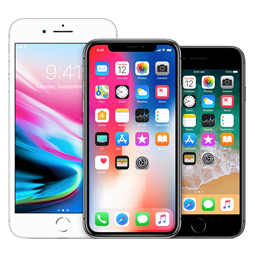 Here at Vision Telecom Solutions, we are proud to be regarded as one of the leading business mobile, landline, VOIP and cloud systems provider. Copyright 2019 Vision Mobile Ltd. Vision Mobile UK Ltd t/a Vision Telecom Solutions. *Calls to 0871 number cost 11p minute + service charge from a BT Landline. Costs from other Operators & mobile phones will vary and may cost more.